John Ross is the author of Formosan Odyssey, a classic of Taiwan travel and history writing, first published in 2002. In this afterword written for the 2014 second edition, he looks at how Taiwan has progressed (or not) in the years since he wrote the book. Writing this update is not a pleasant task. 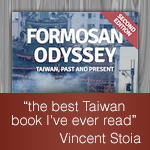 The twelve years since the first edition of Formosan Odyssey have been difficult ones for Taiwan. The historic presidential election in 2000 was the perfect ending to an epic story. From the lifting of martial law in 1987, the country had risen to new heights — exploded with long-pent-up energy and prospered in so many ways: from a renaissance of local languages and aboriginal cultures to an unprecedented dynamism of music and film; from environmental awareness to women’s rights; from the emergence of a free, vibrant media to the growth of civil society with citizens coming together in political parties, social movements, and NGOs, as well as in leisure-time associations such as dance groups and bird-watching clubs; from the first mass wave of Taiwanese traveling overseas to a new interest and pride in Taiwan itself; from a reputation as a giant factory for cheap consumer junk to a producer of world-class high-tech electronics. And above everything was the democratic success story par excellence: the transition to democracy made without political violence or an economic downturn, and in such a short span of time it seemed as if a half-century of progress had been crammed into little more than a decade. The crowning glory of this transition was an end to fifty years of one-party rule with the election of the son of a poor Taiwanese labourer from the rural south. As I write this, however, former president Chen Shui-bian is serving a seventeen-year prison sentence for corruption, sovereignty is steadily slipping away to China, the economy is anaemic (real average incomes have not risen since 2000), and there is an air of pessimism about the future. All in all, it’s enough to drive a man to drink. Things started to go wrong soon after the historic transfer of power. The bursting of the dot-com bubble and global downturn of the first years of the 2000s hit Taiwan hard because of its reliance on exports of computer components and consumer electronics. The stock market plummeted and still hasn’t recovered to its year-2000 levels, and the steady flow of investment from Taiwan to China became a deluge. Economic problems were accompanied by gridlock in parliament. Chen and his Democratic Progressive Party did have their victories, but these were often symbolic and rather trivial. For example, the English word “Taiwan” was added to the cover of passports (previously the cover had only “Republic of China” in both Mandarin and English). Chen won re-election in 2004 in controversial circumstances. On the day before voting there was an assassination attempt that left Chen and his vice president slightly injured. The lone gunman, who had fired on their passing vehicle from a roadside crowd, escaped and later committed suicide. The election went ahead the following day, with Chen winning by fewer than 29,500 votes. 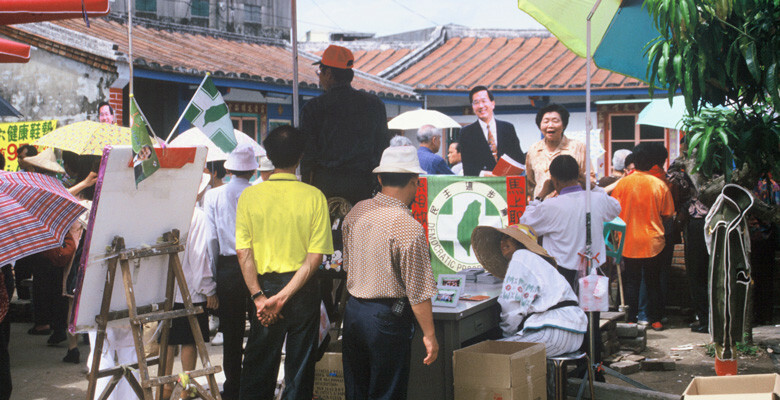 Polls before the shooting incident had had the electoral race as too close to call, and it’s generally believed that sympathy for Chen pushed him over the finish line. Many opposition supporters — whether or not they bought into conspiracy theories claiming the assassination attempt was staged — felt cheated. Things weren’t helped by KMT candidate Lien Chan’s refusal to accept defeat. He demanded a recount. After getting this — and once more coming up short — he tried and failed to get the courts to call a new election. Chen Shui-bian’s second term was from the very beginning dogged by political partisanship, and, not long after, by corruption charges against his wife, son-in-law, and, in turn, himself. Chen was arrested on numerous corruption charges as soon as his immunity expired upon his leaving office. Promising better relations with China and renewed prosperity, the KMT candidate, Ma Ying-jeou, won the 2008 presidential election (and was re-elected in 2012). Disillusioned with Chen and politics in general, the public were willing to trade some long-term security by binding itself more tightly to China for the prospect of economic growth. Closer ties with China included direct flights, opening the floodgates to Chinese tourists, freer trade, and the easing of restrictions on Chinese investment. But still the economy stagnated, and it was more than just fallout from the global downturn. Taiwan is suffering from a long-term lack of investment. Since the late 1980s Taiwanese industry’s response to higher labour costs has been to move their factories to China rather than invest more aggressively in research and development or in building their own brands. The country has haemorrhaged about US$200 billion in investment across the strait. The result is a hollowed-out local manufacturing industry, and a failure to create high value-added products and value-added jobs. People have followed the money too. Today more than a million Taiwanese are living and working in China. Taiwan’s greatest threat is also its most important trading partner, the largest source of tourists, and the largest recipient (approximately 80%) of Taiwan’s foreign investment. The last dozen years have seen some visible achievements obvious to even the short-term visitor: the world’s tallest building (2004–2010), the continuing expansion of Taipei’s superb metro system, and a 245-kilometre high-speed railway between Taipei and Kaohsiung. And yet these were all projects conceived and started in the last century; they’re accomplishments that bring pride but are more like echoes of the glory days than symbols of present-day success. 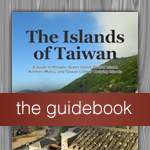 Overall, I feel the Taiwan of 2013 is a better place to be than it was back in 2001 when I wrote the first edition. The situation reminds me of how Japan is often described as having suffered two lost decades of economic stagnation; but when you visit the country you’re surprised by the enviable prosperity. Similarly, Taiwan still strikes visitors as dynamic, wealthy, and developed. Taiwan is cleaner, greener, and more civilized than it used to be. Sure, it’s less vibrant in terms of raw energy, less frenetic, and less crazy; but it’s only natural that the country’s rapid growth should tail off. What happened before was a unique, often-chaotic burst of freedom and wealth after so many years without; and much of the resulting excitement was the tasteless exuberance of the nouveau riche. Taiwan has matured and sobered up. Exit the naked pole-dancing girls at weddings, and make way for flower-arranging classes at the local community centre. Good-bye pet orangutans and hello cycling craze. I’ve also mellowed, grown older with Taiwan, though I’ve managed to skip the sobering-up part. I’m married to a local lass and living in the sticks of Chiayi County. Otherwise not much has changed. Here I am writing this second edition, with my faithful companion Taiwan Beer by my side, just as it was when the original was written. I’m looking out from my study through large, south-facing windows, the warm light of late afternoon streaming in and turning my glass to liquid gold. It’s a perfect early December day — blue sky overhead and 25 °C. Life is good. Taiwan is in the first stage of a devastating demographic shift. In the 1960s having four or five children was the norm. 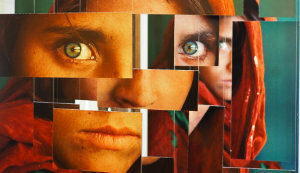 The fertility rate (the average number of children per woman) fell below the replacement level of 2.1 in the mid-1980s, and for the past decade has, at a shade under 1.1, been among the world’s very lowest. Put simply, there are a lot of old people and few young ones. I can see the early effects of the population crisis during a weekly 20-minute scooter commute. 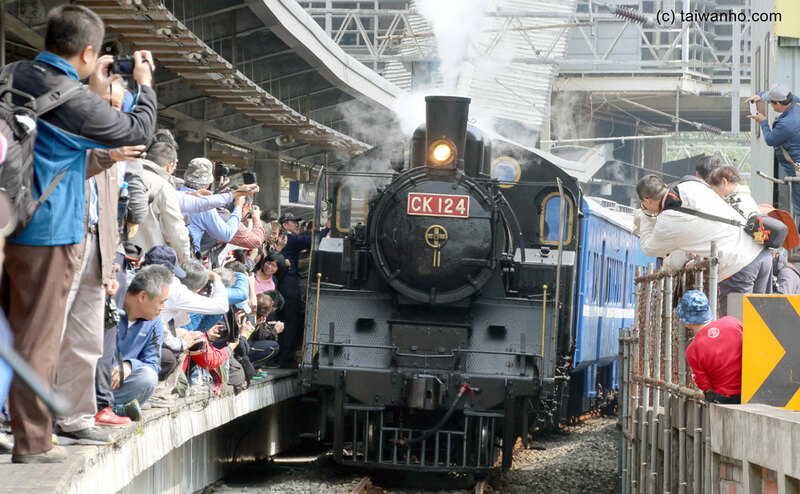 The ride takes me past kindergartens closed from a lack of students, a university expected to soon shut its doors for the same reason, and past the Chiayi high speed train station. The station is surrounded by empty roads and overgrown plots built in the expectation of development that never came. The largest building along the route — and in my entire district — is a massive new hospital and nursing home. It sometimes feels like the country is turning into a retirement village. What happens to Taiwan from here? Unfortunately, the conversation turns inevitably to the cross-strait question. It’s true that Taiwanese self-identity is stronger: when I first arrived, most people identified themselves as both Chinese and Taiwanese, whereas now the majority say they are simply Taiwanese. But the will and means to resist China’s pressure is weaker. The people — especially the wealthy — have voted with their feet and money, with their indifference, and at the ballot box. Slowly but surely I see Taiwan falling under Beijing’s influence, a creeping de facto annexation that ends with full Chinese control. This seemingly inevitable slide doesn’t mean that military action against Taiwan is unlikely. Impatient PLA generals and hawkish leaders must be chafing at the long wait as they watch the weakening of Taiwan’s resolve to fight. Conscription (now down from two years to four months) will end in 2017, and the professional army is struggling to get recruits. Optimists see the possibility of a less strident China content to wield its influence with a light touch, a China that allows quasi-independence in exchange for a few token kowtows like in the old imperial days when tributary nations paid periodic respects to the capital. This is only a possibility if you believe in fairy tales. Some Taiwanese shrug off the prospect of unification with China as a mere change of boss that would make little difference to their lives. This is wishful thinking; coming under direct PRC rule would cause an exodus of talent and money, and it would be a huge step backward for a vast array of freedoms — whether political, religious, economic, or cultural — and for the growing demand for the rule of law. Unification would not usher in a Pax Sinica that sweeps away national political squabbles and military tensions on the island, because the question of Taiwan’s sovereignty is not some anachronistic legacy of the struggle between Mao Zedong and Chiang Kai-shek or a relic of Cold War geopolitics. Instead, it is an important part of China’s rise to superpower status. Unification would be the start of a dangerous new chapter. Have a look at a map of the region — a good map of the Chinese seaboard showing not only the main landmasses of Japan, Taiwan, and the Philippines but also the many islands linking them. These islands (some of which are, like Taiwan, claimed by the PRC) form an unbroken chain thousands of kilometres long that ring China — a great maritime wall preventing it from projecting power into what it believes is its rightful sphere of influence. China wants Taiwan as an unsinkable aircraft carrier, a stepping-stone to the return of other disputed islands and to supremacy in the western Pacific. As I’ve tried to chronicle in Formosan Odyssey, Taiwan’s prime location has seen it conquered and coveted by numerous powers through the centuries. Becoming a PRC territory would put it centre stage in the most important strategic competition of our times — the power struggle between China and the United States. John Ross is the author of Formosan Odyssey, an exploration of Taiwan's people and history, and You Don’t Know China, a book that dismantles twenty-two common myths about China.